The effectiveness of a law limiting how often school officials physically restrain or isolate students is impossible to judge because nearly half the state’s school districts missed the reporting deadline. 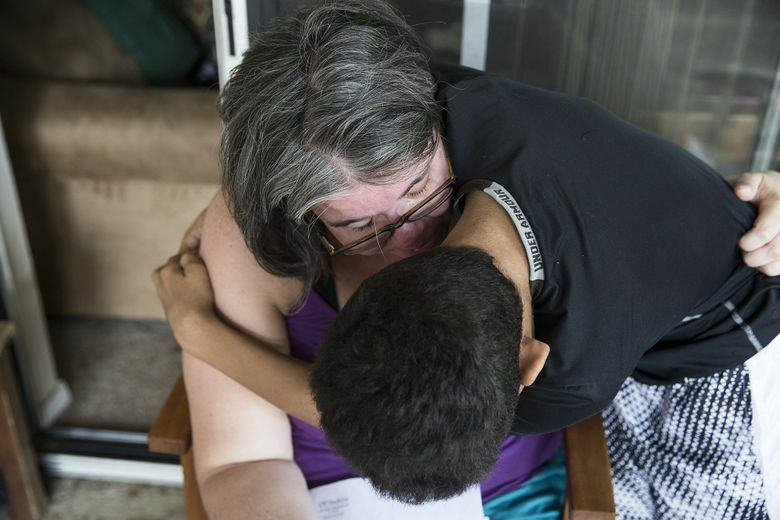 During the first six months of 2016, staff members at Bellingham’s Sehome High School confined a student with a developmental disability alone in a room on 617 separate occasions — an average of about six times each school day. But a Seattle Times review of the fledgling attempt to collect this information found inconsistent compliance that makes it impossible to judge the effectiveness of the new legislation. Nearly half of the state’s 295 school districts missed a July 1 deadline to report incident numbers to Washington’s Office of Superintendent of Public Instruction. After questions from The Times about the poor compliance, state education officials extended the deadline and this month released a report based on data provided by 217 school districts. But even the numbers that state officials successfully compiled — showing 20,115 incidents over a six-month period — give no real insight into whether the restraint or isolation techniques were only used in an emergency where someone was likely to get seriously hurt, as the law requires. State Rep. Gerry Pollet, D-Seattle, who sponsored the legislation, called the response rate by districts “dismal.” He said school districts resisted the new legislation from the beginning and as a result, he is still hearing “horror stories” from parents who consider the restraint and isolation techniques barbaric. Linda Mullen, the communications director for the Washington Education Association, the state’s largest teachers union, said implementing the new requirements has been difficult because state lawmakers included no funding for training. Pollet said that if districts feel they need more resources to meet the requirements of the law, OSPI should assess the cost of adequate training and present a funding proposal to the legislature. However, education funding is already a contentious issue given the Washington state Supreme Court’s 2012 ruling in McCleary vs. State of Washington that the state has neglected its financial obligations to schools. Several of the Puget Sound region’s largest school districts — including Seattle, Bellevue, Lake Washington and Edmonds — complied with the reporting requirements. Issaquah and Pasco were two of the largest school districts in the state to miss the initial reporting deadline, but both have since reported their data to the state. Shelton is among the 78 districts that failed to report its incident numbers. Pam Farr, the executive director of teaching and learning at the Shelton School District, blamed unfamiliarity with the new requirement and noted that her district has undergone some staff turnover in the last few months. “It unfortunately was an oversight,” Farr said. The district is working to finish data collection now to either submit it late or prepare for next year, she said. Doug Gill, OSPI assistant superintendent for special education, said in August he did not know specific consequences for districts that did not report the data. But he expects districts to comply with the law limiting restraint and isolation techniques to emergency situations. The Sehome High School student with 617 isolation incidents stood out as the most extreme example in the OSPI data. The number was three times greater than a Valley View Middle School student whose 155 isolation incidents in the Snohomish District were the second most reported to the state for a single student. Michael Haberman, Bellingham’s special-education director, said the district does not restrain or isolate students outside of emergency situations. He said privacy laws prohibited him from commenting on the Sehome High student, but Haberman confirmed that the tally is accurate. Federal law requires school districts to provide disabled students with a “free appropriate public education,” so a student in special education has specific academic and behavioral programs tailored to the individual’s needs. State data shows that 13.5 percent of Washington’s almost 1.1 million students have a special-education designation, and prior rules allowed teachers to include the use of restraint or isolation in their programs to correct disruptive behavior, even if it was not an emergency. Washington’s law joined a growing movement around the country in which several states have pushed for limits on when students can be physically restrained — either in a hold by a school staffer or with a tether — or isolated in a special auxiliary room set aside for seclusion. The shift from what had been considered acceptable methods to discipline children with disabilities followed reports of injuries and even deaths of students restrained against their will. Parents, advocates and experts have also said that confining disabled students alone in a room can be a traumatic event. Renay Ferguson, whose 10-year old son has ADHD, gave The Seattle Times school records that show her son was placed in isolation 148 times in the span of two years at two different elementary schools. Each isolation incident ranged from two minutes to three hours, the records show. Ferguson’s son felt like he was “going to die” when he was in the Rose Hill Elementary isolation room in Kirkland, and he would take off his clothes to relieve the feeling of suffocation, he reported to his mother and doctor. While in the isolation room April 18, Ferguson’s son banged his head against the door and tied his shoelaces around his wrist and neck, according to district records. He suffered a concussion that day, according to a report from his doctor. Ferguson said she and her son no longer trust officials in the Lake Washington school district. “The school district cannot service these kids because they are different,” Ferguson said. Paul Vine, the district’s special services director, would not comment about Ferguson’s son specifically, but he said the Lake Washington School District policy aligns with the state legislation, and officials only use restraint or isolation when there is an emergency. The OSPI data shows school staff isolated about 1,400 students and restrained about 2,400 others, although the same student may have been both restrained and isolated. Roughly 60 percent of those incidents occurred in elementary schools, according to The Times review of the state’s data. The data also tracks the specific method used against the student: closets for isolation, tethers for restraint, weighted blankets for calming and specific physical holds that restrict arm and leg movements. However, the data does not show what triggered the need for restraint or isolation and does not explain how it occurred in an emergency situation. In an effort to determine whether the reported incidents could all be considered an emergency, The Times obtained through the state’s public records law reports for more than 5,000 restraint and seclusion incidents from 10 districts. School officials must document each incident and provide those records to the parents, but the records are not reported to OSPI along with the district data. Some of the reports obtained by The Times included details indicating that students had turned violent, punched themselves, run into traffic or attempted to hurt another student or staff member. Others were vague or just had boilerplate language, leaving it unclear whether the techniques were used, as the law allows, to prevent serious harm. But many of the incidents, at least as they were reported, did not appear to justify the need for restraints or isolation. For example, a ninth-grader in Puyallup was placed in isolation for 48 minutes on Nov. 4, 2015, because he had been yelling and wasn’t following directions, according to district records. Puyallup’s Executive Director of Special Education, Karen Mool, said she could not determine whether the case was an appropriate use of isolation based on only the report. A May 6 incident report shows that Kent School District staff at Ridgewood Elementary School restrained and isolated a child for 30 minutes because the student threw glue sticks. The district’s report did not have more details on the incident. Chris Loftis, the district’s executive director of communications, clarified by email that although the incident originated with the student throwing glue sticks, “there was significant aggressive escalation from that point” that included the student punching the principal in the stomach. The district is currently revisiting its reporting forms to include more context for each incident, Loftis said. 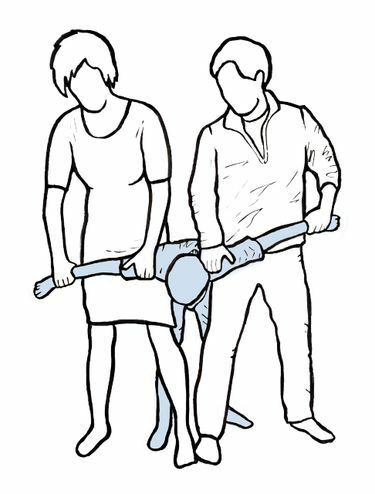 Two training programs, Right Response and Crisis Prevention Institute (CPI), emphasize that physical restraint should be a last resort. The CPI training teaches educators to identify signs of anxiety, such as pacing, wringing hands or staring, and attempt to ease tensions by listening and giving the student some time to calm down. 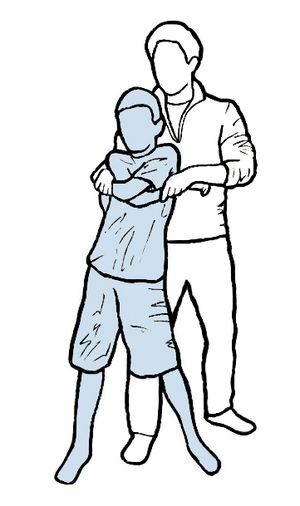 If a student acts defensive by refusing to participate in activities or shouting, CPI advises teachers to ask the student to do something simple, such as standing up. The only time physical intervention should be used is if the student could hurt himself or others, such as hitting or self-injurious behavior, according to the training. Despite the uneven compliance with the new law, there does not appear to be widespread discontent with how education officials are using restraint and isolation techniques. State records show that OSPI completed 12 Special Education Citizen Complaint investigations concerning the techniques in 2016, with one case still pending as of mid-October. In one of those 12 cases, University Place School District staff put a first-grade student with high-functioning autism in seclusion “on a number of occasions” when there was no danger, according to OSPI files received in a public records request. The student told his mom that he “thought people hated him” when staff took him to the therapy room, according to the documents. Investigators found in that case and in four others that staff used restraint or isolation outside of emergency situations. Each time OSPI ordered school district officials to ensure its staff are properly trained, the records show. The Office of the Education Ombuds, an agency within the governor’s office that resolves complaints and makes policy recommendations, received a total of 34 complaints concerning the use of restraint or isolation techniques from July 2015 through June 2016, records show. Carrie Basas, director of the Ombuds office, said school district officials remain confused over how to implement changes and comply with the new law. Seattle Times reporter Mike Baker contributed to this report.